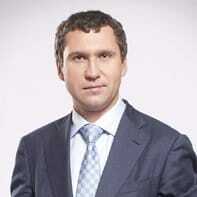 Yumatov joins BCS as its Deputy Chief Business Officer, Capital Markets and Investment Banking, Russia and CIS. BCS Global Markets, a Russian investment bank and securities broker on the Moscow Exchange (MOEX) has continued strengthening its team in H1 2017, this time adding Andrey Yumatov in what will amount to a newly created role as the group’s Deputy Chief Business Officer, Capital Markets and Investment Banking, Russia and CIS. The appointment of Mr. Yumatov represents a growing need at BCS Global Markets, given its extant focus in recent years throughout Russia and the Commonwealth of Independent States (CIS). As the Global Markets and Investment Banking arm of BCS Financial Group, the company has seen its institutional business swell in Russia and its peripheral regions, necessitating a dedicated role to help steer BCS Global’s product suite and operations. Mr. Yumatov joins BCS Global Markets with over twenty-five years of experience across the banking sector as well as the financial investment space. He most recently worked at CB Bank Austria as its Senior Vice President, serving as its Head of Financial Rehabilitation of Strategic Enterprises. He also held senior level roles at the Bank of Moscow as a Member of its Management Board and Head of Corporate & Investment Banking. His decorated career has also included stops at VTB as its Senior Vice President – CIB and Global Head of FICC Sales, as well as at Deutsche Bank as its Head of Corporate Derivatives and UniCredit as its Head of Corporate & Investment Banking, among other roles dating back to 1992, according to information made public on his Linkedin profile. The addition of Mr. Yumatov is the latest hire at BCS Global Markets since promoting Bradley Duke and Tim Bevan as its newest Co-CEOs of its UK entity, BCS Prime Brokerage Ltd (BCS UK).